A recent addition to the 'rock room' arsenal is a 'Take One' feature where I will concentrate on one particular song or single for a more astute recognition of that particular track. Hopefully songs will emerge that offer up 'lost' classics, familiar friends, while also revealing new nuance and unique details. The tune picked for dissection today is Sun Record 259 released in December of 1956 and acting as the music world's introduction to the 'Killer', Jerry Lee Lewis. Lewis's debut single and track of note was a cover of Ray Price's 'Crazy Arms', a country classic released in May of 1956 and written by Ralph Mooney and Charles Seals. The original boozy country lament shot up the charts by June and featured a 'clip-clop' rhythm as well as mournful pedal steel and teary eyed fiddle dressing. Price sang the song in quintessential country ballad fashion and stirred the hearts of listeners when reaching #1 in country music charts. 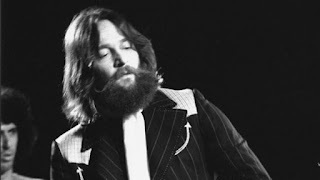 A testament to the strength of the song's melody can be seen in the number of cover versions by artists such as Willie Nelson, Jerry Garcia Band, Patsy Cline and Gram Parsons. 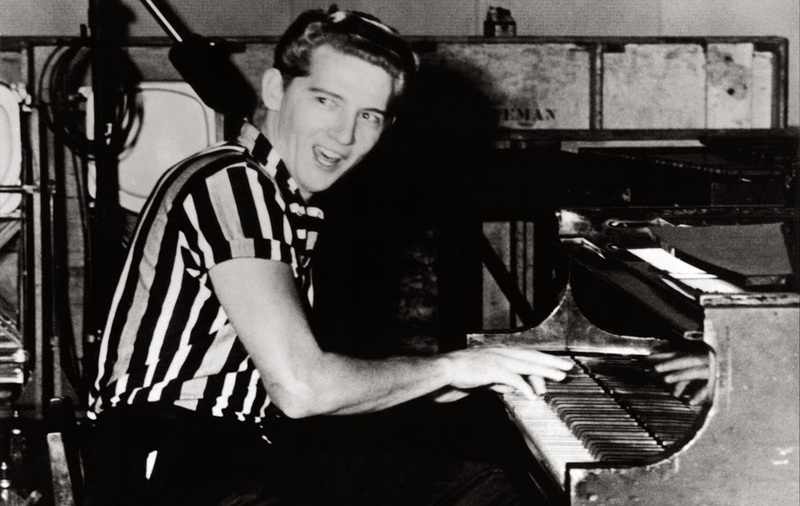 Jerry Lee Lewis traveled to Nashville, Tennessee from Louisiana in the Fall of 1956,to try to showcase his abilities to a bigger audience. Auditioning for the Sun label, Lewis collaborated with drummer Jimmy Van Easton and guitarist Roland Janes in November and created the resulting 'Crazy Eyes' through their own through tasteful arranging and gentle distortion of the original. While carefully tracing around the songs arrangement, Lewis, adept in any genre and able to assimilate genres into his own style, covertly introduced the 'country crowd' to rock and roll. Through tempo, diction and nimble fingers Lewis built on the songs already sturdy bones while morphing and combining naturally related genres of country, rockabilly and in the future, gospel and blues. Because 'Crazy Arms' was already familiar to mass music listening public through Ray Rice's hit rendition, it was the perfect vehicle in which for Lewis to slide into the drivers seat. 'Crazy Arms' was also backed with a preview of Lewis's own rocket fueled rockabilly by featuring his own original composition, 'End of the Road'. Nestled on the flip side, the boppin' tune foreshadowed his future single for Sun, 'Whole Lot of Shakin' Goin On', which would cement his reputation for eternity. Back to the song at hand, Jerry Lee Lewis's 'Crazy Arms' begins and shuffles in on drums increased in intensity from the original recoding and stepping perfectly in the footprints of Lewis's roly-poly saloon piano. The drums and piano are locked in copacetic harmony and are the critical element in the originality of the arrangement. Lewis's vocals change the song from a weepy doubtful reflection to a matter of fact statement. His rocky repetitions of the last word coming at the conclusion of each line, as well as his pauses and his sly elongation of the line 'all the time' inject a new attitude and elicit a tight eye wink from the song. Also of note, is the historically recognizable Sun Record echo on the vocal and the straight take of Lewis's singing, with no harmonic additions by a second voice as on Price's version. Mid song, the tune gives a light elbow jab when the drums shift into a slightly excited double time. Lewis's two solos appear, balancing on the knife edge of the melody, while also adding a pinch of New Orleans to the Tennessee stew. Flashing fast ticklish glissandi punctuate the end of each of his black and white quotes. His mid tempo boogie-woogie banging also lends to the aforementioned increased urgency of the song. Returning to the verse the song concludes at a bit past two and a half minutes. 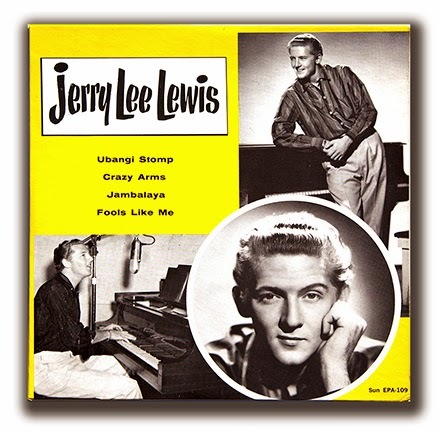 The Jerry Lee Lewis 1956 debut single 'Crazy Arms', was an inauspicious, but influential beginning to a legendary career that would soon become derailed by scandal and then reemerge to now approach almost 60 years. This introductory single packed a country ballad with a flammable piano bashing steely eyed rocker while offering up a conglomerate of influence that would inject all genres of music with new and exciting possibilities.